The Prince Albert II of Monaco Foundation will soon stage its annual gala dinner in Singapore, in an evening that includes an auction of objects and experiences, taking place inside the Marina Bay Sands casino complex. Both Prince Albert II of Monaco and Francois-Paul Journe will be the guests at the dinner, which takes place on November 9, 2018. While the catalogue encompasses a Monaco Grand Prix experience and a Jeff Koons ballon dog, the highlight is probably the one of a kind F.P. Journe Chronograph Monopoussoir Rattrapante created expressly for the event, which marks its 10th anniversary in the city state. It is only the second publicly known, unique split-second F.P. Journe wristwatch to date, after the Only Watch timepiece that sold for US$1.15m last year. F.P. Journe has also made a handful of custom versions of the Chronograph Monopoussoir Rattrapante for special clients, but they have not been publicised. 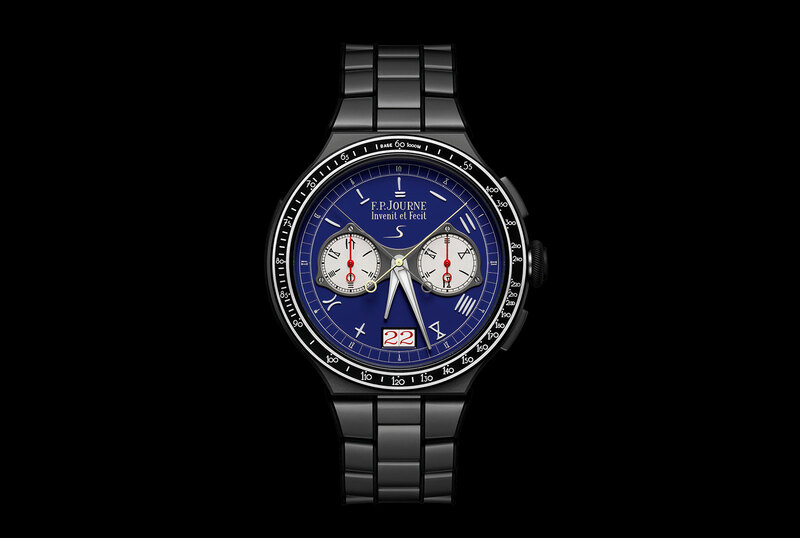 The watch made for the Prince Albert II of Monaco Foundation is unusual in its typography, being a first for the brand. The numerals on the entirety of the dial – from the chronograph registers to the outer minute track – are in oracle bone script, the oldest type of Chinese characters known. Found on animal bones used for fortune telling, the script dates to some 3200 years ago. 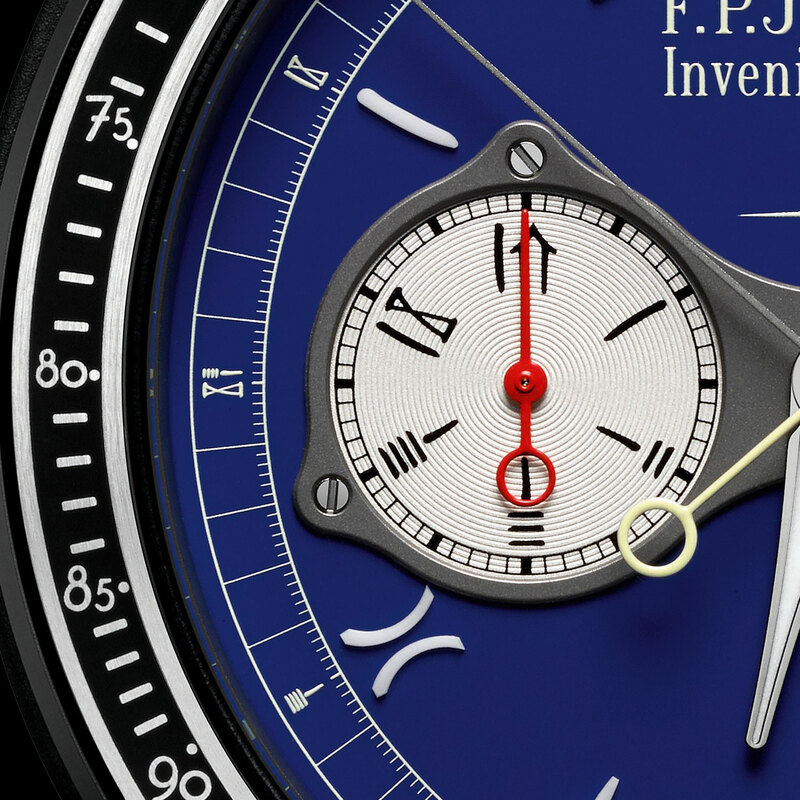 Also unique is the navy blue dial, which contrasts with the grey dial found on the standard model. 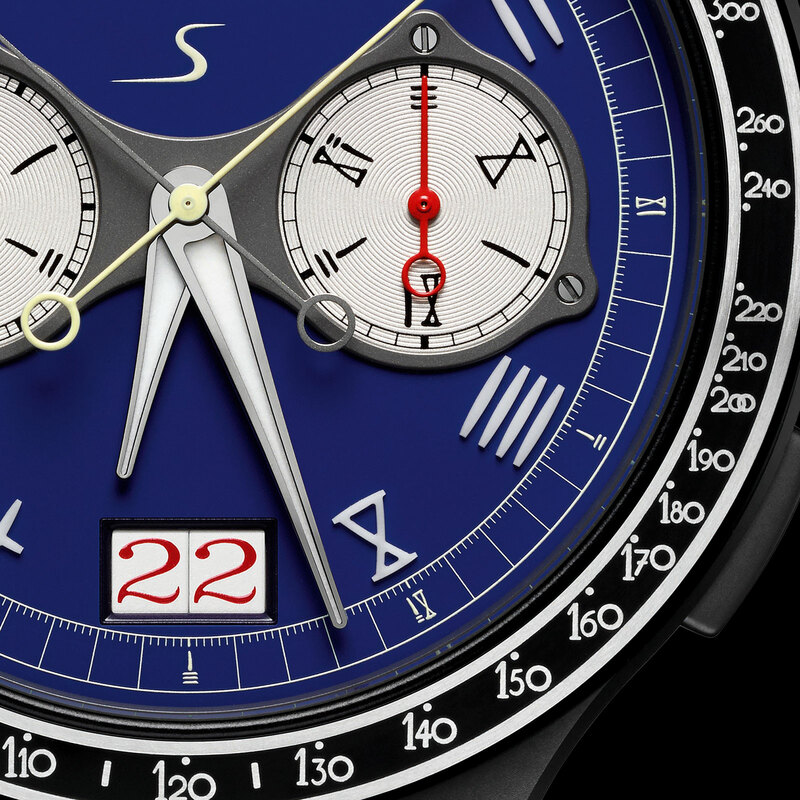 Notably, the sub-dials of the chronograph are solid and finished with concentric guilloche, while on the standard model they are sapphire and see-through. The rest of the watch is identical to the stock version, with a 44mm case in titanium fitted with a ceramic bezel. As is standard for F.P. Journe sports watches, the case and bracelet are capped with protective rubber inserts. These cover the sides of the case and bezel, as well as the crown and chronograph buttons. Inside is the hand-wound cal. 1518 that has an 80-hour power reserve. Here its bridges and base plate are made of hardened aluminium for lightness, while in the precious metal versions of the watch the movement is executed in 18k red gold. 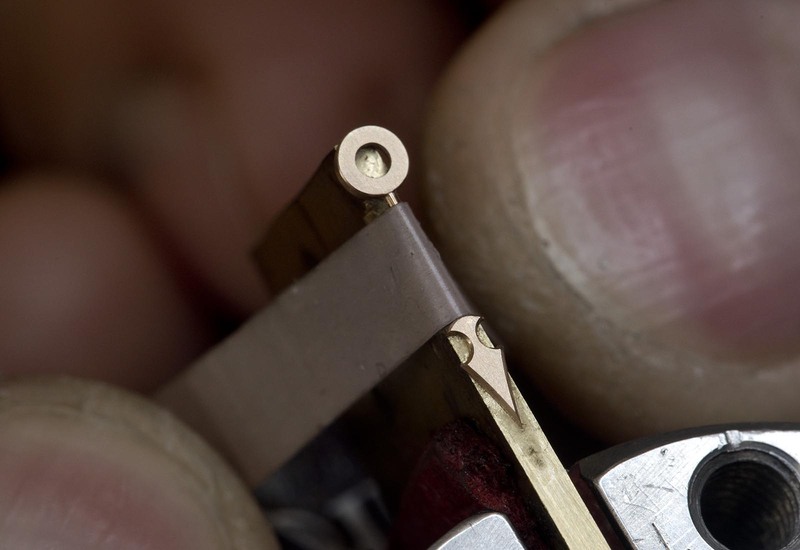 The movement is just 6.8mm high, making it one of the slimmest split-seconds on the market, allowing the case to stand just 12.1mm in its entirety. The standard Chronograph Monopoussoir Rattrapante in titanium retails for S$90,800 in Singapore, or SFr58,000, which is about US$58,000. All of the proceeds from the sale go to the Prince Albert II of Monaco Foundation, a charity that supports environmental conservation. A 19th century movement chimes once again. 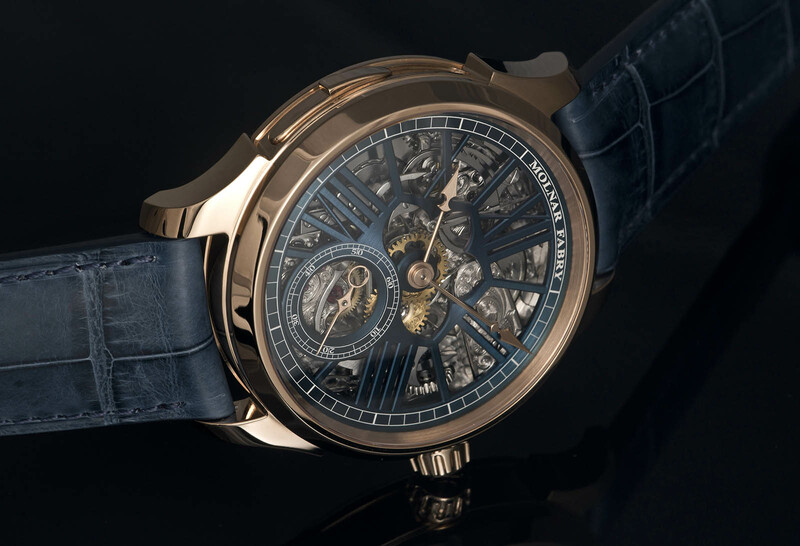 Slovakian watchmakers duo Molnar Fabry recently finished the Nightingale Minute Repeater, which joins the split-seconds of 2016 as one of the brand’s most complicated timepieces. In the brand’s typical style, the Nightingale is powered by a vintage movement that has been dramatically modified and decorated, showcasing the pair’s expertise in both hand finishing and restoration. 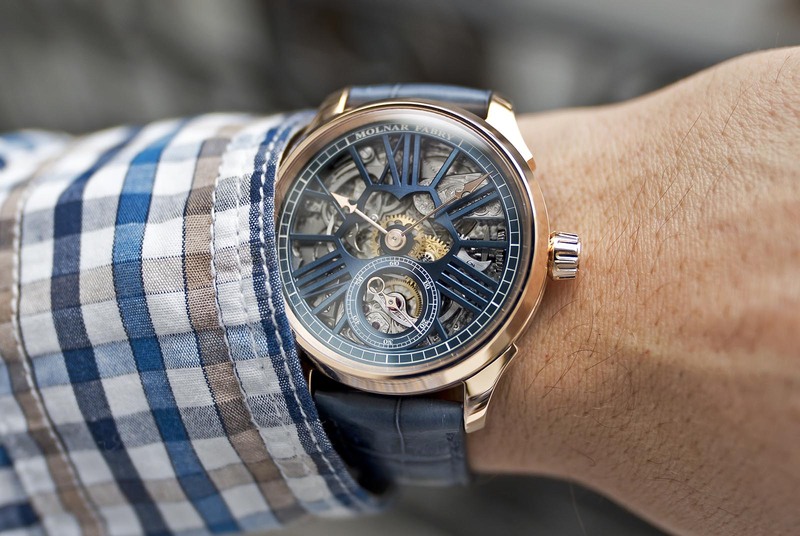 Commissioned by a client, the Nightingale is Molnar Fabry’s first ever minute repeater. It contains a Paul H. Matthey movement from 1890 taken from a pocket watch provided by the client. 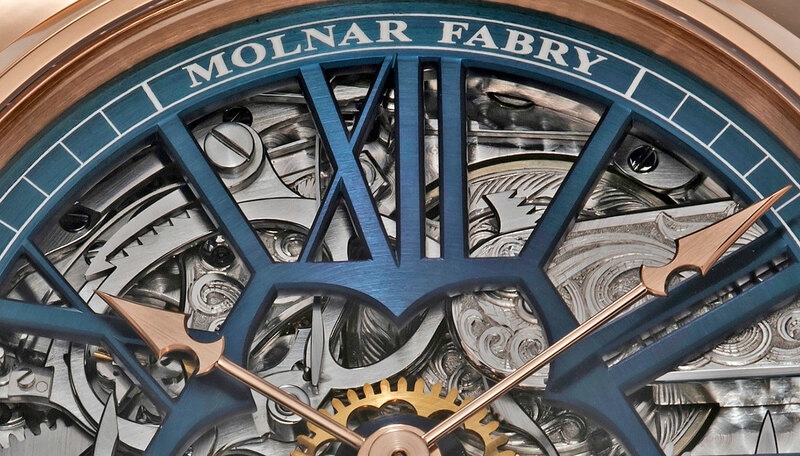 Molnar Fabry restored, decorated and significantly modified the mechanics of the movement. 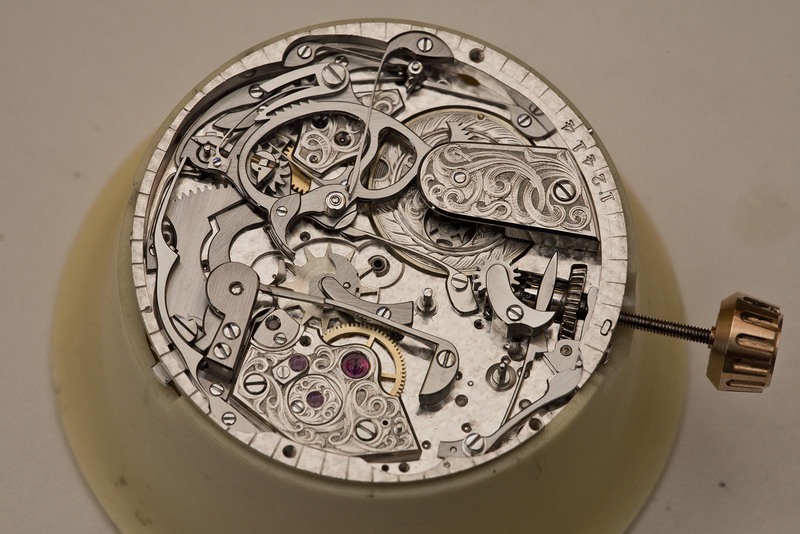 To start with, as with many 19th century pocket watches, the Paul H. Matthey caliber was lever-set, which means the bezel had to be lifted up to reveal a small setting-lever that had to be pulled out in order to set the time. To make it suitable as a wristwatch, Molnar Fabry had to convert the setting mechanism into a conventional stem-setting, in other words, pulling the crown to set the time. As is typical for its era, the movement has a wonderfully classical layout and details, with finger bridges and jewels in chatons. But it’s been given a thorough makeover. The bridges are decorated with banknote engraving, an intricate and complex technique used for currency printing plates that relies on by fine lines and shading. 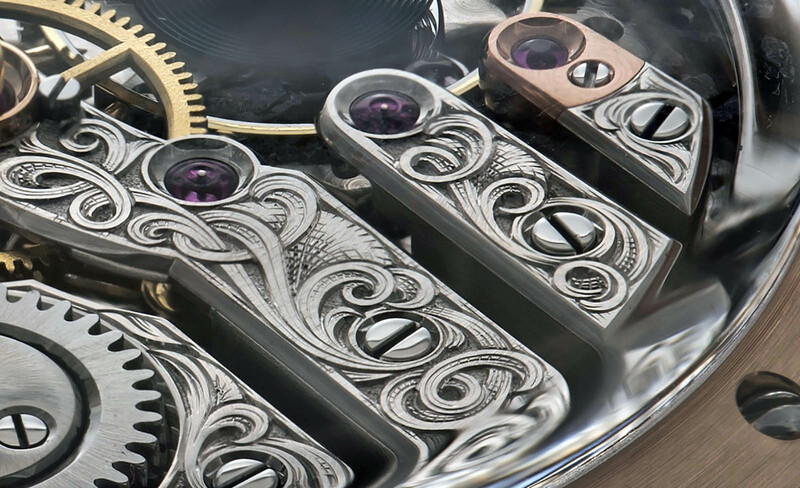 All the bridges are rhodium-plated, as is the base plate, which is finished with traditional perlage. 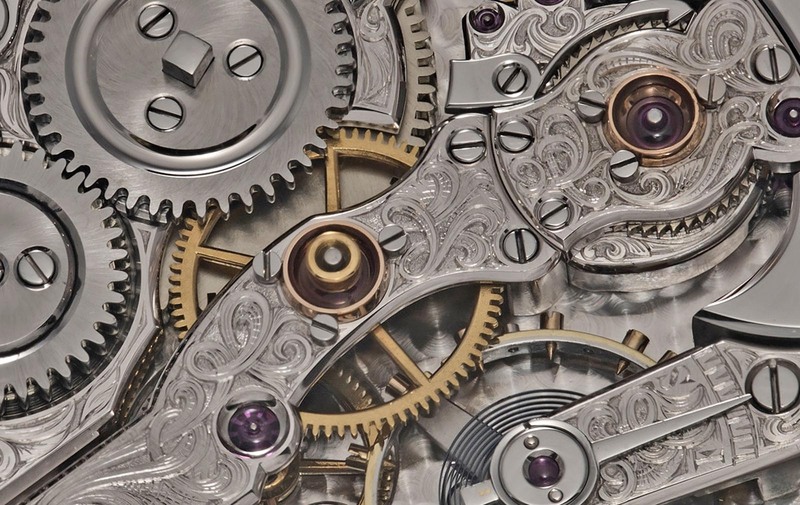 Although the engraving is elaborate, the original decorative elements of the movement have been retained but refined, including the bevels on the bridges and polished countersinks for the jewels. Also preserved is the original split, bimetallic balance, with its blued hairspring. 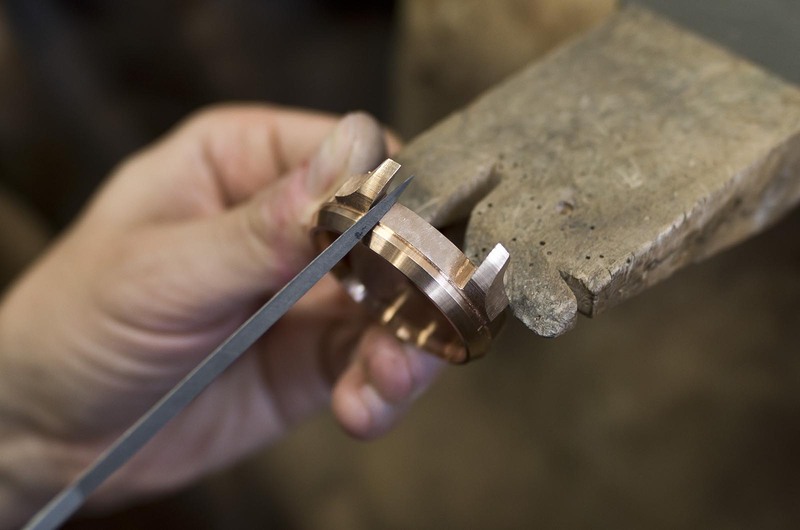 The case is entirely handmade of 18k pink gold. 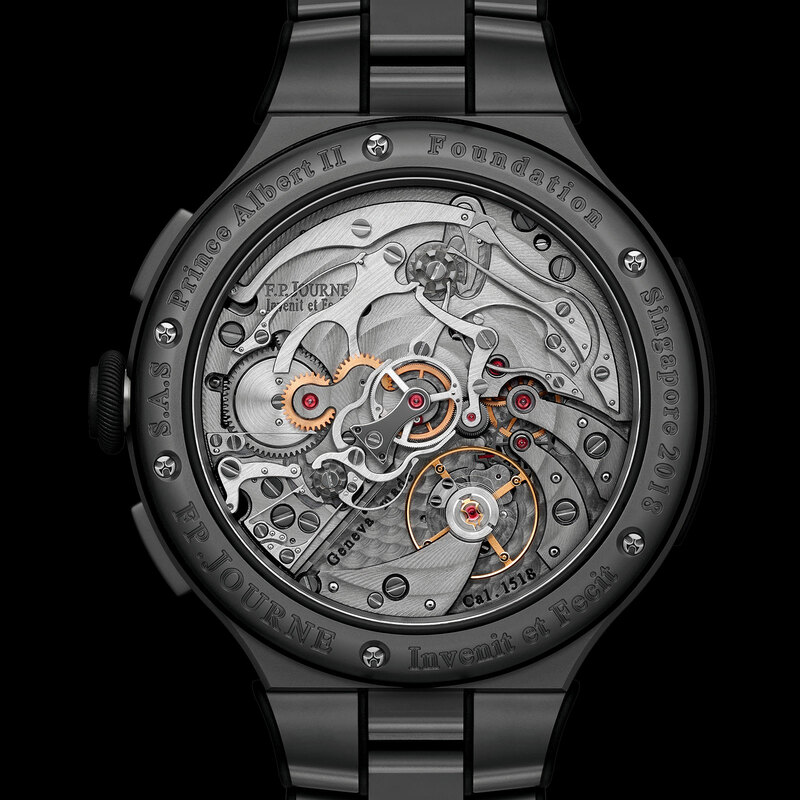 It’s considerably large at 43.3mm by 16mm, in part due to the domed sapphire crystal on the case back needed to accommodate the height of the movement. The Nightingale features a German silver dial plated with blue rhodium and open-worked into large Roman numerals to reveal the repeater mechanism below. 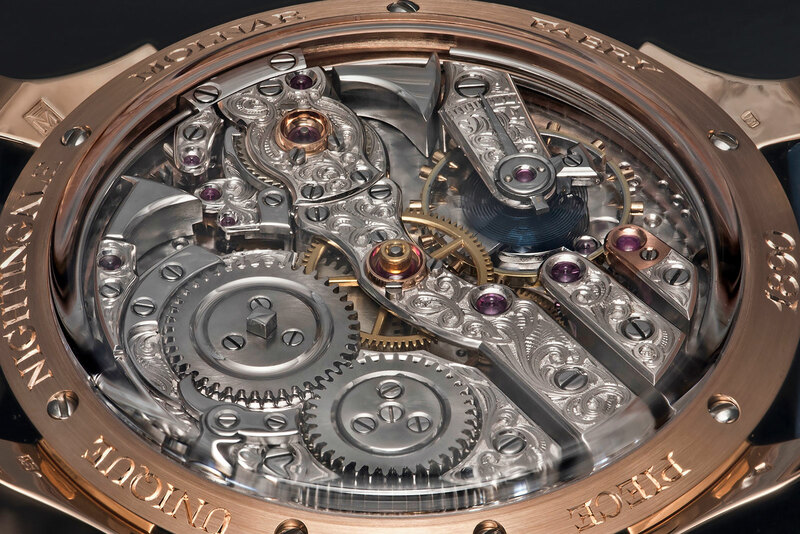 The ornate, spear-shaped hands are hand-made of pink gold, as is the seconds hand. 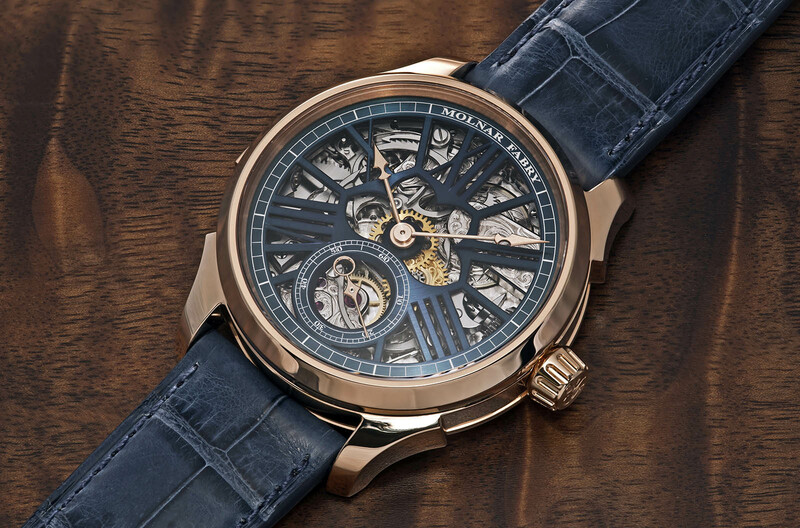 The Molnar Fabry Nightingale Minute Repeater is a one-of-a-kind creation. 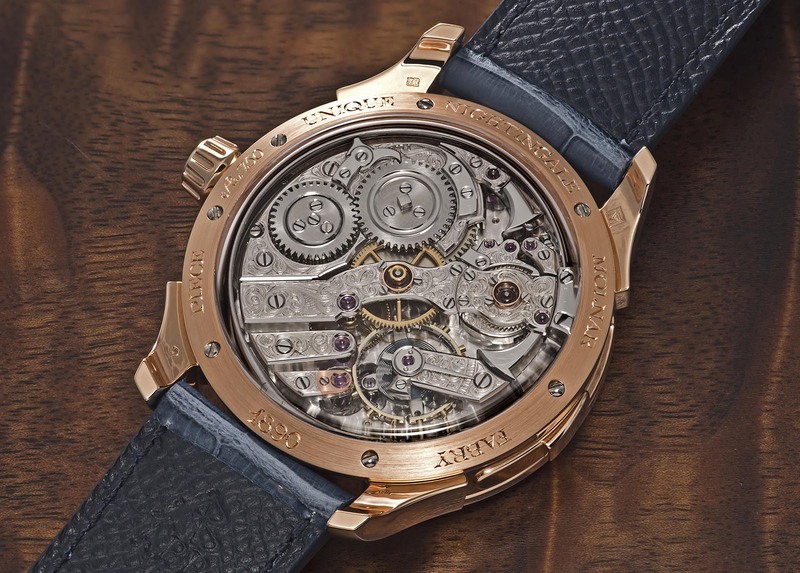 Prices for similar watches start from €120,000. Powered by a dramatically modified and decorated Unitas. Powered by a Unitas that's been skeletonised and decorated by hand. As good as it gets with a Unitas movement.